Saturday October 6 and Sunday October 7 marked the 2nd Annual Inter-Service Military Polo Match to benefit wounded members of the U.S. Armed Forces. 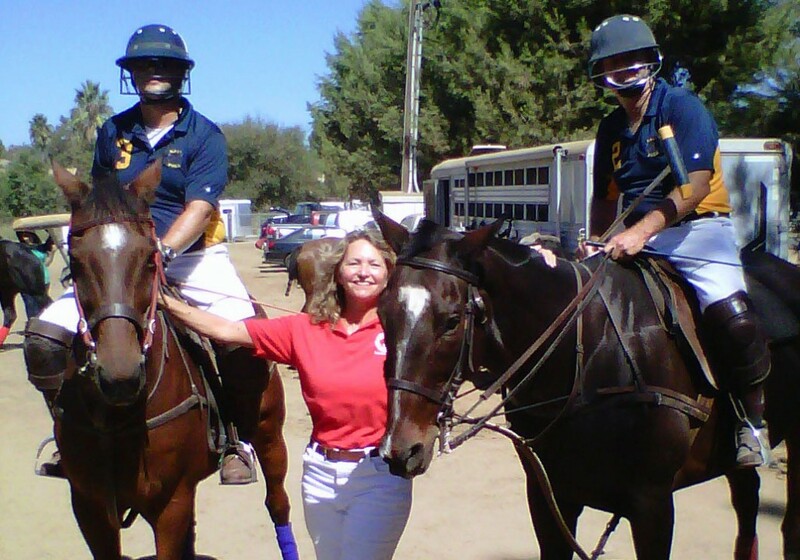 Susan Harris, brother of Fred Harris of the Naval Observatory in Flagstaff, donated two of the polo ponies for the use of the Navy team. CAPT Dave Carrington, retired from active duty and currently a professor at the Naval War College in Newport, R.I. played polo on Policy. 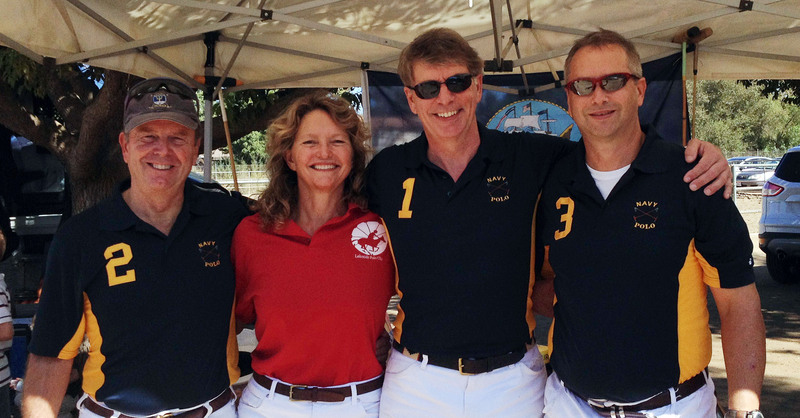 CDR Karl Hilberg, a Surface Warfare Officer with 24 years of active duty service, rode Rebel, a much loved polo pony and a favorite mount at White Horse Polo Ranch. Susan also donated horseback riding lessons for the silent auction with proceeds going to the fund. The event was held at by Poway Polo Club in Poway California. The America’s Fund helps injured and critically ill members of the U.S. Armed Forces and their families through the Semper Fi Fund. Karl is playing the #3 position on Rebel and Dave playing the #2 position on Policy. Playing in the #1 position was CDR Steve Smith.